Who We Are – Allen & Carwile, P.C. 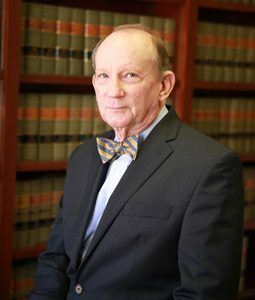 Mr. Watkins was born and raised in the City of Waynesboro and returned to Waynesboro in 1973 to practice law. He associated with Allen & Dalton and became a partner of the firm in 1975. Their firm merged with Charles L. Ricketts, III and Timothy C. Carwile in 1987 to form Allen & Carwile, P.C. Mr. Watkins’ practice focuses primarily on commercial real estate transactions and complex estate planning and administration. He also engages in a full service business practice, which includes business planning, drafting, and litigation work. Mr. Watkins holds an AV Martindale-Hubbell® Peer Review RatingTM. Mr. Carwile, a native Virginian, began the practice of law as the Executive Director of the Legal Aid Society of Greater Lynchburg. 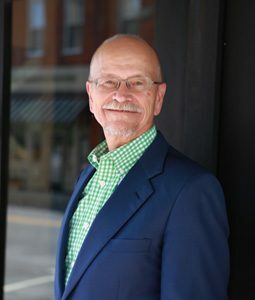 He moved to Waynesboro in 1974, practicing with W. Charles Poland and serving for eight years as Waynesboro’s first Assistant Commonwealth’s Attorney before he co-founded the firm of Carwile & Ricketts, P.C., which merged with Carter R. Allen, R. Toms Dalton, Jr. and G. William Watkins in 1987 to form the present professional corporation, Allen & Carwile, P.C. He served as President of the firm from Mr. Allen’s retirement in 2002 until 2015. Mr. Carwile holds an AV-Preeminent Martindale-Hubbell® Peer Review RatingTM. While his earlier career included considerable practice in litigation, estate planning and complex divorce and business transactional work, for the past twenty years Mr. Carwile has focused primarily on trial practice with special emphasis on criminal defense representation. He is a frequent lecturer on these topics, having spoken to police departments, public defenders, directors of Virginia Alcohol Safety Action Programs, and, for the Virginia CLE, on the defense of DUI (driving under the influence/DWI/driving while intoxicated) and other serious traffic cases. 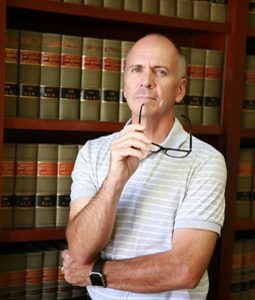 He is also an editor and co-author of the current definitive work on the subject, “Defense of Serious Traffic Cases in Virginia”. In 2011, Mr. Carwile completed a six-year term as a member of the Mandatory Legal Education Committee appointed by the Virginia Supreme Court and currently serves the Virginia Bar as chair of its Eighth District Ethics Disciplinary Committee. Mr. Carwile serves the Augusta County, VA, Circuit Court as a Special Commissioner and is a Substitute Judge for General District and Juvenile and Domestic Relations District Courts. Ms. Gomez joined the firm as an Associate Attorney in the Fall of 2002 and became a shareholder in June 2007. Ms. Gomez also serves as the Commissioner of Accounts for the City of Waynesboro, a position that she obtained in 2019. Her legal practice has a strong concentration in real estate transactions and litigation. Her caseload currently includes boundary disputes, title defects, among other miscellaneous real estate matters. In addition, Ms. Gomez provides a full range of services to business clients, including assistance with organizational documents, contracts, leases, debt collection, and litigation. Ms. Gomez also regularly provides estate planning advice and serves as court-appointed guardian ad litem for incapacitated adults. Ms. Gomez has been a member of the Virginia Bar since 1997 and the District of Columbia Bar since 1999 and is a member of the Virginia and District of Columbia Bar Associations as well as the Augusta County Bar Association. 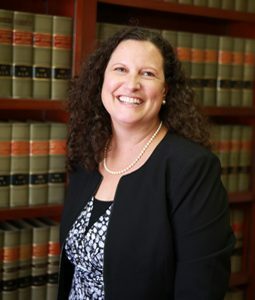 Ms. Gomez earned her law degree from the George Mason University School of Law in May of 1997 and is a graduate of the University of Virginia. Ms. Hamp practices in the areas of estate planning, estate administration, and elder law. 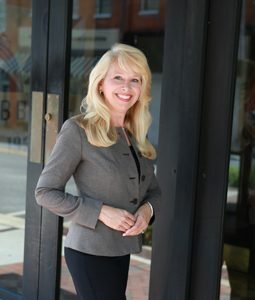 Prior to joining the firm, she practiced law in the Private Wealth Services Division of McGuire Woods in Charlottesville. She brings to the practice of elder law and estate planning a wide spectrum of professional experiences in the field of aging. Formerly, she worked with the University of Virginia’s Institute on Aging, the Valley Program for Aging Services, and she earned a nursing home administrator’s license with training at Riverside Convalescent Center. In 2002, Ms. Hamp was awarded the Borchard Research Fellowship in Law and Aging after graduating from the University of Virginia School of Law. Her work as the Borchard Fellow involved designing and establishing the Advocacy Clinic for the Elderly at UVA’s law school. She subsequently served as the coordinator and co-instructor for the clinic. She also served as a consultant to the National Academy of Sciences Panel to Review Risk and Prevalence of Elder Abuse and Neglect. Her legal research is included in the panel’s report, Elder Mistreatment: Abuse, Neglect, and Exploitation in an Aging America, published by the National Academy Press (2002). Ms. Hamp earned a master’s degree in gerontology from the Medical College of Virginia and an undergraduate degree from the College of William and Mary. David was born in Staunton and graduated from Robert E. Lee High School (now Staunton High School) in 1987. After earning a master’s degree from James Madison University, he took what he thought would be a short-term job as a reporter for his hometown newspaper, The Daily News Leader. Instead, he spent five years writing stories about the people of Augusta County, Waynesboro and Staunton. When a fellow reporter left for another paper, David was assigned to cover the local courts where he met many of those he now calls colleagues and began to love the language of the law. After some encouragement from some local attorneys, he applied for and was accepted to law school at the University of Dayton in his wife Kara’s native state of Ohio. After graduating in 2002, David and Kara returned to Augusta County to work and raise a family. David is now recognized as an expert in Chapter 7 and Chapter 13 bankruptcy law and has filed more than 500 cases in the Western District of Virginia. He also handles most of the firm’s litigation and domestic relations practice and, as a former assistant Commonwealth’s Attorney for Augusta County, excels at defending client’s charged with serious traffic offenses including DUI’s and reckless driving. David has committed to investing in this area’s future by serving as a coach and volunteer for the Soccer Organization of Charlottesville Area – Augusta Region travel teams since 2015. A Black Belt in Ryukyu Kempo, an Okinawan Martial Art, David is also committed to mental and physical fitness and completed his first full marathon in October of 2018.